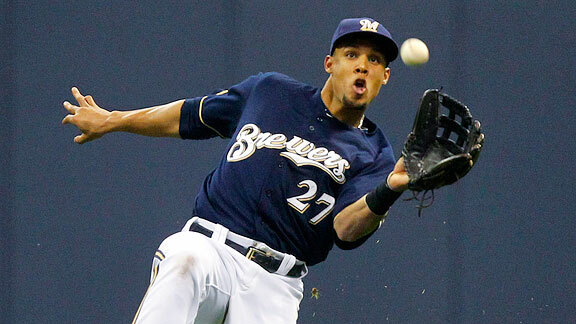 Finally, Carlos Gomez is on the move and this time the deal went thru, unlike the Mets deal yesterday. Carlos is leaving the Brewers and taking his talents to Houston. Gomez will play centerfield there and give valuable experience to the young guns and help the team make a possible trip to the World Series. Carlos Gomez has been hurt this season a couple of times, but when healthy he is dominant. Gomez has one more year left on his current deal and he will only make $9 mil next year. That is a great deal for the Astros for a 2 time all-star. Gomez this season has hit .262 with 8 homers, 43 RBIs and stole 7 bags. He can steal 30-40 bases a season. He will not reach that goal due to the injuries. Gomez is capable of hitting 20-25 homers and driving in 70-80 RBIs. Gomez is a great defender too. He won a gold glove award back in 2013. Gomez can bat anywhere in the lineup, but expect him to hit somewhere between 1-5 in the lineup. Gomez needs 1 more homerun to reach a milestone. That would be number 100. Astros also got starter/reliever Mike Fiers. Fiers adds versatility to the Astros pitching staff and has had a decent year so far. He is 5-9 on the year with a 3.89 ERA, 121 Ks in 118 innings. Also the Astros got international slot #76. The Brewers received outfielders Brett Phillips and Domingo Santana. They got a pair of pitchers. They got lefty Josh Hader and righty Adrian Houser. First, Houser was the Astros number 21 prospect. He is at Double-A and has struggled. He has pitched himself into a 6.21 ERA on a 1-2 record with 33.1 innings of work and also struck out 23 batters, but has walked 15. Houser is a big boy that gets ground balls and stays low in the zone. The 22 year old has 3 decent pitches and relies on his delivery to help his pitches out to get outs. 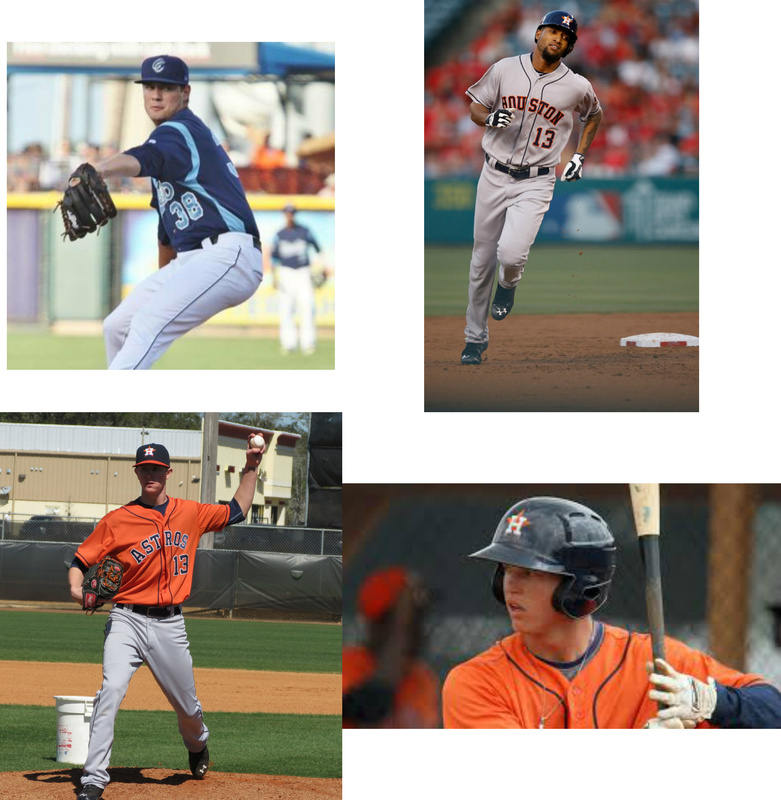 Second, Josh Hader was the #14 prospect in the Astros farm system. He is currently in Double-A and has pitched good. He has a 3-3 record on 65.1 innings and struck out 69 batters. 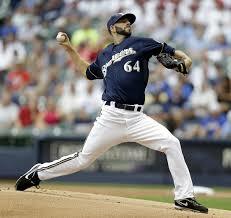 He can be a good future number 3 or 4 in the Brewers rotation. Hader’s arm motion and body size reminds me of Chris Sale. Another lefty with a funky delivery. Hader can throw anywhere between 90-96 with his fastball and needs to improve on the secondary pitches to be able to move up to Triple-A and eventually the Pros. Hader is 21 years old. Next, Domingo Santana has MLB experience and is currently at Triple-A. He was the Astros #7 prospect. Santana in the pros has hit .256 with 2 homers and 8 RBIs. In Triple-A he has hit .320 with 16 homers and 59 RBIs. Santana has power to spread the ball to all parts of the field. He does strikeout a lot. He is a corner outfielder and has a big arm that will keep him in right field. Santana is very close on playing on a regular basis in the pros. He is only 22. Finally, The Brewers got the Astros #2 prospect in outfielder Brett Phillips. Phillips killed the baseball in Single-A and that continued to happen in Double-A. Phillips is 21 years old and has hit .321 with 1 homer and 18 RBIs. He also swiped 7 bases. Phillips has power. The power hasn’t shown up yet in Double-A, but in Single-A he hit 15 dingers. He is a top of the order hitter with his ability to be patience and with his speed. He can play all 3 outfield spots, but with his power-speed combo he can stick in centerfield. Joc Pederson like player?